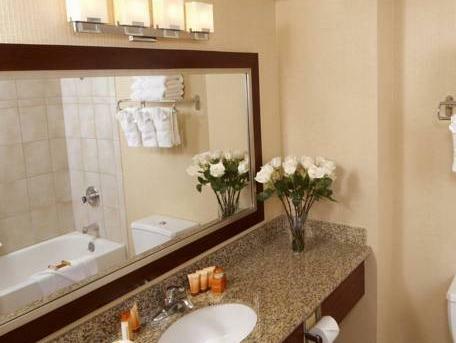 ﻿ Boulder Station Hotel, Las Vegas (NV) | FROM $24 - SAVE ON AGODA! "Nice room, and the air smells good on the elevator lobby." Have a question for Boulder Station Hotel? "A great place to stay off the strip." "Quiet and affordable Boulder Station offers the same quality you find on the strip, but for a much better price." "It was a great hotel and casino." 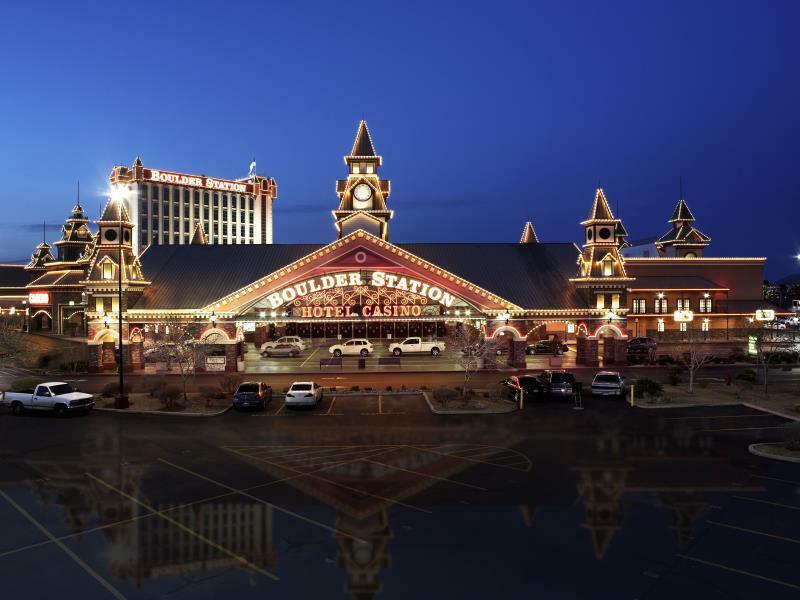 Conveniently located close to the Las Vegas Strip and major attractions, the 15-story Boulder Station Hotel offers extensive services in ensuring an entertaining and memorable trip. Points of interest - such as the Nellis Airforce Base, Las Vegas Convention Center, and Downtown Las Vegas - are among the many attractions nearby. The hotel uniquely resembles the look of a traditional Western railway station with hardwood walkways and beautiful stained glass. Boasting a 24-hour casino with more than 2,900 slot machines, 11 movie theaters, and award-winning restaurants, there is non-stop entertainment for everyone to enjoy. 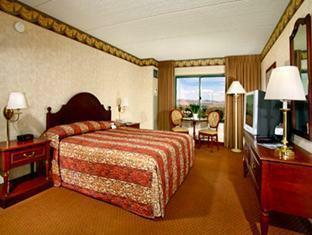 With the advantage of its location, it is no surprise that Boulder Station Hotel is an excellent choice. "All in all it was a great place for my family 6/10." Very friendly staff. I literally pulled up at valet and a bell Hop came right out and got my luggage and followed me to the registration. I was out of my car and in my room in ten minutes. It was awesome. The bathroom sink drain smelled bad and needed cleaning. Other than that, it was a very good, cost effective stay. The beds were very comfortable, and I have a hard time sleeping. Would like to see a guide for the TV for those restless hours. Buffet was classic Vegas style, lots of meat and carbs. Staff were very sociable! This was the first hotel in my life where I wasn't told where I should park at or given directions to get to my room from where they suggest I should park. It seems like the hotel is understaffed as there was only 1 person checking people in and out when I was up there. I also got stopped by casino security for trying to take my bike across the casino floor, because I wasn't ever told where I should park or enter the building. The casino staff were pretty friendly though, even after dealing with like 5-6 power outages. Almost Everything was Great, I Loved The Stay At This Hotel, The Kindness Of Staff, The Room Was Nice ,I Like Where Is Was Located As It Was Very Close To The Womens Conferences From Church That I Was Gona Attend. Only reason Why i Wouldnt or Cant Give 5 Stars On Cleanliness is Because the Sink and Bathtub Were Alil Clogged , Had Very Bad Sewer Odor. But Other Than That I Would Go Back , Things Happend And Above All That Everybody Who I Came In Contact From Front Desk Clerks, Securities At Entrance To Hotel Rooms & Housekeeping Were Very Courteous Very Polite, & The Room Itself Was Very Accomodating. Thank You Boulder Casino. GOD Bless. Best rates-Sunday-Thursday Try NY Steak in Cafe 2-4-1 Fajitas in Guadalahara Restaurant Great secials on Pasta dishes at Pasta Cucina Feast Buffet-large selections-get chef at pasta station to make chicken fettucine on the spot. Friendly Bingo hall and lots of loose slots.only downer is high resort fee-over $22.00 daily on top of room rate and tax. At least they have free parking. Nice off strip hotel. Decent restaurants. Very quiet comfort rooms. Intensely dislike the "resort fee" charge. A scam. The fee almost equals the room charge. Simply a way to gouge and to mislead customers into thinking the room is a value. Agoda should ONLY display pricing that includes the resort fee. A great place to stay off the strip. Quiet and affordable Boulder Station offers the same quality you find on the strip, but for a much better price. Comfortable beds, clean rooms, outdoor pool, restaurants... everything! This is a fun, large casino/hotel where one can spend a lot of time. However, it is not anywhere near the LV strip, if that's what you're looking for. There is plenty to do in the hotel though. The prices for food and drinks are great too. Some weirdo clientele but it didn't bother us. We would come back for sure. Really enjoyed our stay, good price. Friendly staff and amazing dining options downstairs. Not the best facilities- ie swimming pool, but you definitely get value for money. Much better than Excalibur for the price. Front desk staff did not tell me that I had a players club card already issued in my name. I was not aware to even go and grab one nor of its benefits until 2 days into my stay which caused me to miss out on points for 2 days. I also was not told about how Housekeeping operates with the room cleaning which left my room untended to for two days. When I called housekeeping, they still did not tell me about the door sign to alert the maid to service my room... Strangely, I figured it out myself the day before my departure. Also, my lotion came up missing. I had it on the desk, then it was gone. Not pointing fingers, but I looked high and low for it and I still do not have it. I did not call to report this because of all the confusion I've already been through with uninformative staff... Didn't seem like it would help if I did call and tell anyone. Overall my Staying experience was good enough but the fridge at my room was not working properly. I called the frontdesk although they said they will send someone to take care of the issue but no one came. Internet was a hassel. Stayed on smoke free floor, smelled smoke in corridor. Smoking indoors should be banned, also in casinoes. Trying to change a reservation is like pushing water up hill. Mary Jo helped us with the misunderstanding of our room. This is a good place for family and children due to it is not expensive and a lot of activities for the kids. I recommended this hotel as a family-friendly place or if your solo and just want to gamble this is a good place to stay but for romance this place I would not recommend for to stay. They have a very nice buffet but most of the food is tasteless, they can do better there especially for how much you paying for dinner. All in all it was a great place for my family 6/10.